Mobile phones are to become the latest weapon in the fight against HIV and AIDS in Africa, the World Health Organisation has announced. Under a project called Phones for Health, health workers are to report their medical findings to newly established medical databases using mobile phones. The lack of infrastructure in certain African regions has historically meant that it has been difficult to get a comprehensive picture of how HIV and AIDS is spreading. But the new Phones for Health project aims to take advantage of the huge growth in mobile phone networks that has occured across the developing world to change the situation for the better. Leading mobile phone manufacturers and the US government have contributed $10 million (£5.1 million) to the project. 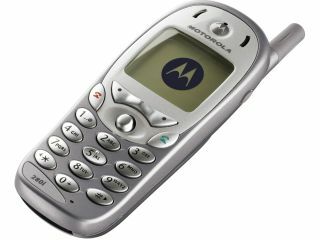 The phones, made by Motorola , have been equipped with an application where findings and data can be put in. The information is sent via GPRS to the central database for analysis. If GPRS isn't available, the information is sent via SMS instead. Around 60 per cent of the African continent is now covered by a mobile network. According to the GSM Association , a global trade group representing leading mobile operators, this figure is set to grow to 85 per cent by 2010. "The explosive spread of mobile phone networks across the developing world has created a unique opportunity to significantly transform how countries can tackle global health challenges," World Health Organization assistant director-general Howard Zucker told Reuters . Initially, 10 countries will be taking part in the project. A pilot project has already been successful in Rwanda. The aim is to roll out the scheme across Africa and Asia, and to include other infectious diseases such as malaria and tuberculosis.